Meridian Air Force Base had LDV build them a 20ft. pull-behind trailer for their operations. 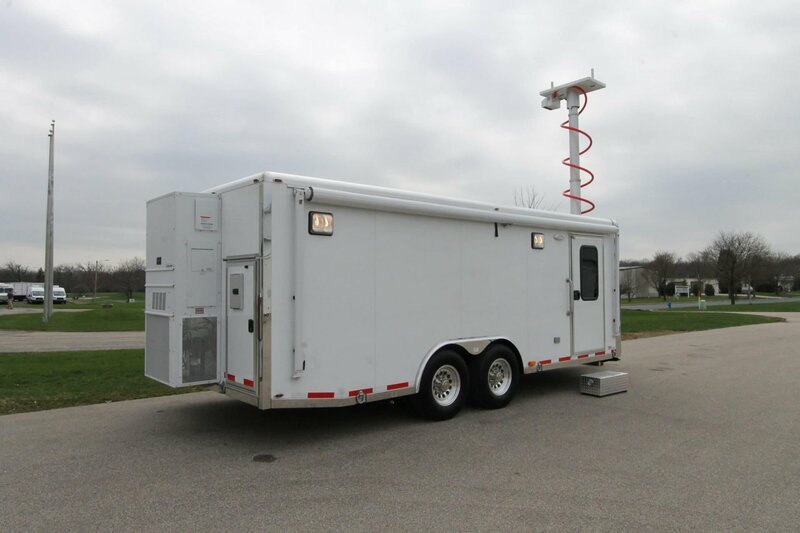 The trailer features an all aluminum perimeter frame, dual 6,000lb. Torsion axles, an exterior ladder, 2 43" LED 4K Smart TVs, Tempest 2300 heavy duty telescoping pneumatic mast with perimeter camera, retractable awning, Wilsonart laminate countertops, video recorder, termination panel for up to 20 radios, CAT6 network cable throughout, full telephone system and more.